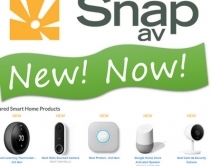 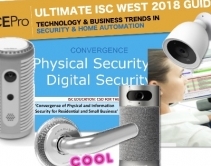 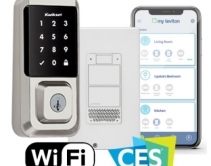 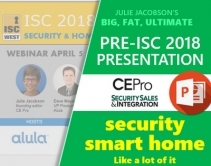 By Julie Jacobson · April 12, 2018 • ISC West 2018: SnapAV pitches OvrC to alarm dealers, a smart lock for newlyweds, neat fire-protection system that could spawn a category ... and more security and home automation from Vegas. 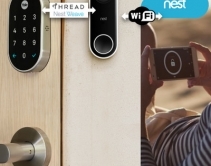 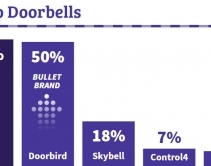 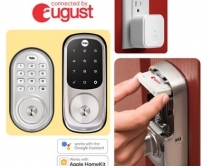 By Julie Jacobson · March 21, 2018 • August and Nest/Yale employ low-energy home-automation protocols (Bluetooth LE and Thread/Weave) for their door locks, connecting to the home network via Wi-Fi-enabled video doorbells powered over wire. 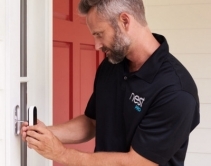 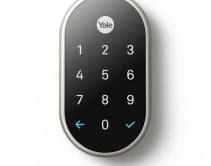 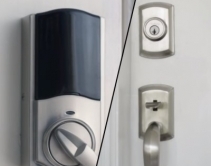 By Robert Archer · January 8, 2018 • Yale Locks & Hardware, a division of Assa Abloy, has announced its key-free Nest x Yale touchscreen deadbolt that homeowners can control from the convenience of their Nest app. 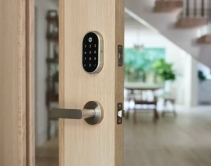 By CE Pro Editors · September 20, 2017 • August Home's new Smart Lock Pro, Smart Lock and Doorbell Cam Pro include the company's proprietary DoorSense technology, which can tell consumers if doors are open or closed and lock them automatically.